FRONT-VL is a Celtic labeled European project comprising of 21 partners from Austria, Sweden, Finland, Hungary and Norway and is led by Telia Company. The project is partly funded from the project participants and partly from the national, public, innovation budget of the participating countries. The total budget is estimated to EUR 7.2 M, and the project will stretch over a period of three years, starting in November 2016. 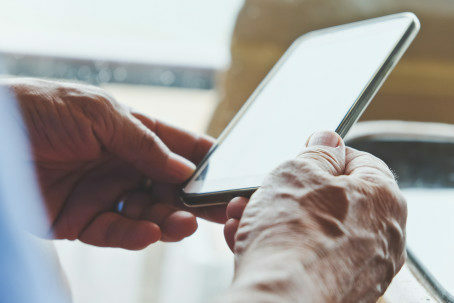 “The vision of the project is to increase the growing aging population’s influence over their own situation and being able to stay longer in their own home with the help of IoT technology. This comprises both technology for independent living and the possibility to handle chronic diseases through remote monitoring and self-care,” says Niklas Sundler, business director at Telia Company’s Swedish healthcare unit that will lead the project. The project is innovative in the way it uses current and new technology to establish smart communication solutions that enable predictive and preventive actions. FRONT-VL will use existing interface standards, such as Continua and the Nordic Reference Architecture, to create an open solution. Sigma Technology Solutions will take care of the human interaction in the project and will ensure that relevant information is shown to the users when IoT motors diagnose a problem or will observe a change in the health situation. “We are honored to be a part of such an honorable project that will help older people to easier diagnose and check their health situation. From our side we will help to ensure that information is in place and is accessible from different devices, when something goes wrong in the house or health risk increases,” shares Niklas Malmros, CEO at Sigma Technology Solutions. The concept will be tested in five different use cases (rehabilitation, fall, mental health, palliative care and nutrition monitoring) during the project, and each use case will be evaluated based on the created value for both caregivers and caretakers. For more information, please contact Niklas Malmros, Niklas.Malmros@sigmatechnology.se. Sigma Technology is a part of Sigma Group and is a global supplier of product information, embedded solutions, and offshore development. We are experts with a passion for technology and information, and take pride in delivering quality and constantly improving our deliveries. Our philosophy is “Local Drive – Global Strength”, therefore we have offices worldwide to be close to our customers. Sigma is owned by Danir AB and has about 3 000 employees and a network of partners in 12 countries.